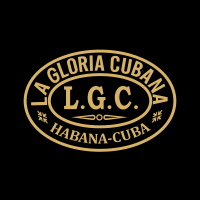 LA GLORIA CUBANA IS A LITTLE KNOWN JEWEL AMONGST HABANO BRANDS. NEVERTHELESS IT ENJOYS A LONG HISTORY. Founded in 1885, its name alone clearly defines its origin. For over a century it has attracted a small but loyal following amongst the most knowledgeable smokers. The brand is characterized by its elegant presentation, especially in the Medaille d’Or Series. All the cigars are “totalmente a mano, tripa larga” — totally hand made, long filler cigars. The blend, made from tobaccos grown in the Vuelta Abajo region, is classified as medium and offers well-balanced nuances of taste and aroma.